If you're looking for unique shopping experience with a festive feel, then don’t miss the the Eden Craft Fair this Christmas. You will be spoilt for choice by the exhibitors who will be bringing Trinity Square to life from the 24th November, through to the 23rd December. 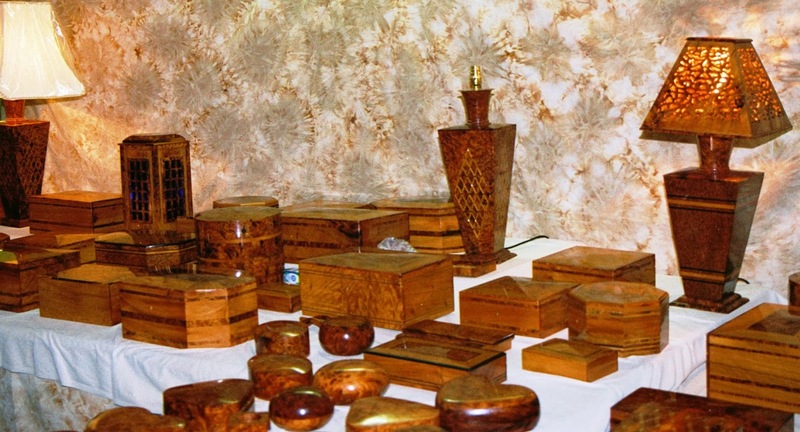 Amongst the exhibitors, you’ll find fabulous silver jewellery from E-Val-Silver, unique Thai Artefacts from Diamond Crafts, delightful wooden boxes from Bundu – and stunning bronzes. These exhibitors and many more, will be located under cover of an attractive heated marquee, so there’s no need to let the cold or wet weather keep you away. Food lovers take note, there will also be lots of foodstuff for you to try and buy. 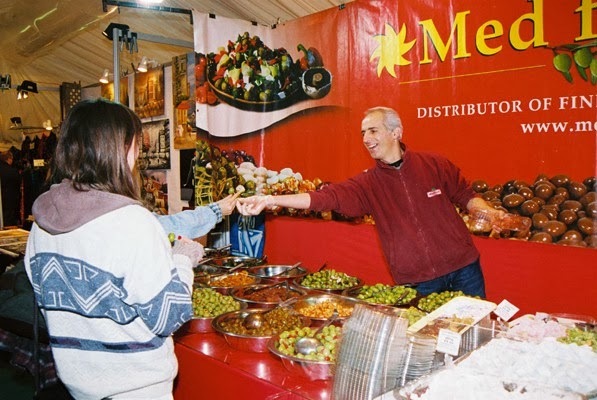 Family run Med Foods will be offering delicious Mediterranean olives, nuts and pastry’s to tempt your taste buds and if you’re a cheese fan, you won’t want to miss out on Lymn Bank Cheeses. 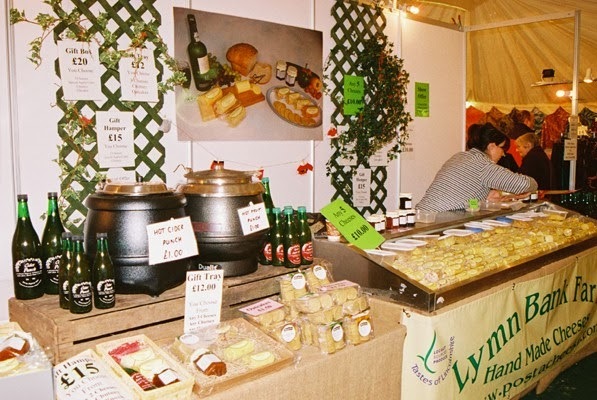 They offer a variety of hand made cheeses from Lincolnshire - which unless you live in that part of the world, you can only purchase online. Come along to the Sutton Christmas Craft Fair and really get into the spirit of Christmas.For further information on Eden Craft Markets, please visit the web site: www.edencrafts.co.uk. Looking for unique Christmas Gifts this year and a shopping trip that you won't experience on the high street? Then you simply must pay a visit to The Eden Craft and Gift Fair this festive season on Kingston's all Saints Parish Church Green from the 14th November. Amoungst the delights on offer, you'll find fabulous jewellery from Silver Vault, Silver Stead and Gemma Jewellery. You’ll find delightful hand made puppets from Artichoke and for a Moroccan twist visit Atlas One and take a look at their unique wooden boxes and leather bags. Food lovers take note, there will be food for you to try and buy. Family run Med Foods will be offering delicious Mediterranean olives, nuts and pastry’s to tempt your taste buds. If you’re a cheese fan, then don’t miss the Lymn Bank Cheeses. They offer a variety of hand made cheeses from Lincolnshire - which unless you live in that part of the world, you can only purchase online. With a variety of clothing and gorgeous gifts, there really is something for everyone at the Kingston Christmas Craft Fair this year, so come along and get into the spirit of Christmas. For further information on Eden Craft Markets, please visit the web site: www.edencrafts.co.uk.